Spillways have many functions both purposeful and decorative. See the material and finishes below. 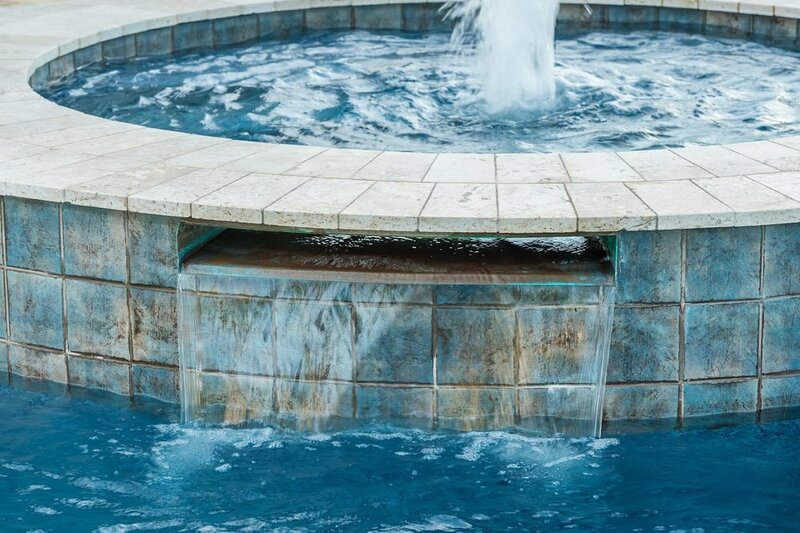 Customize your spa to pool spillway so water won’t corrode or leave calcium build up on the stone, tile or rock below. 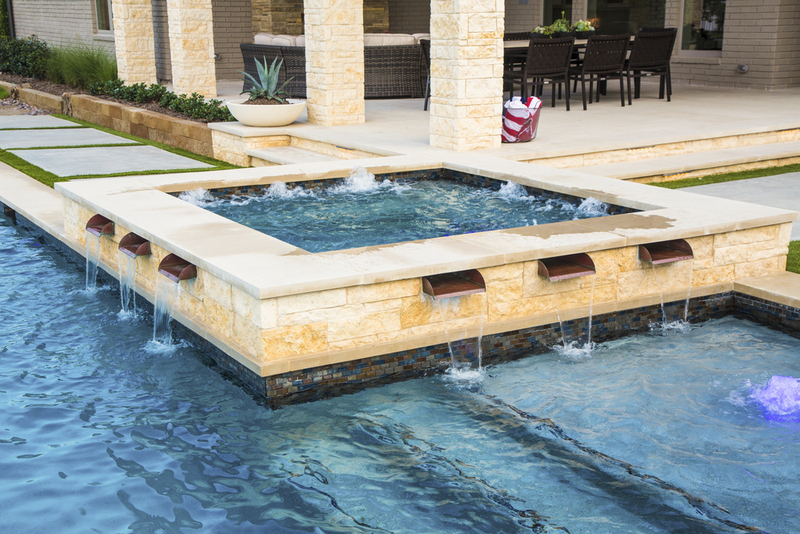 If you have scuppers, po pots or fire pots on your pool adding a spillway completes the look. 3 Copper spillways, custom-designed to accentuate the stone on the spa wall and compliment the desert surroundings with sheer perfection.